It`s that time again! Seabass season is starting, so we know you are looking to stock up on those Tide Minnows. Tide has become a synonym with seabass fishing and has been labeled “King of Slim Minnows” in any place, where these saltwater fish roams the waters. 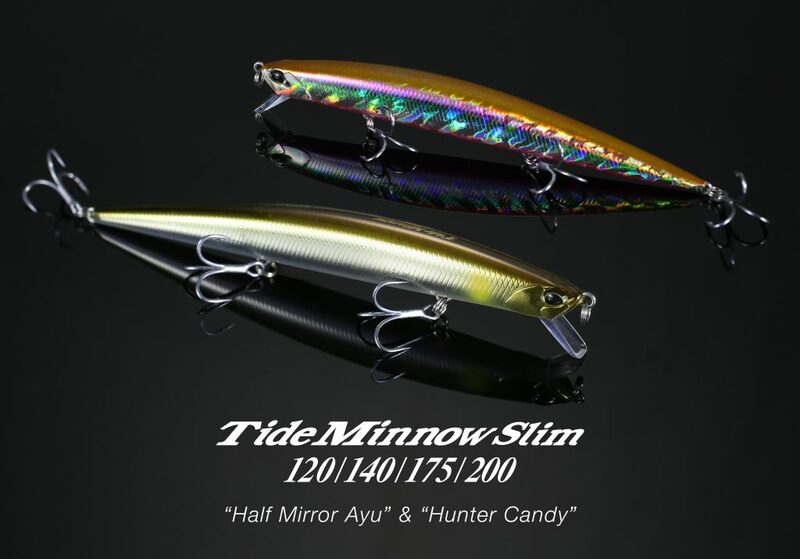 We have prepared something special for this year and Tide Minnow Slim series will see addition of two new colors in “Half Mirror Ayu“, a popular sand eel imitation and “Hunter Candy”. While “Half Mirror Ayu” is already known and proven in our other Realis models, “Hunter Candy” is a new addition to the DUO color line-up. This time we went for a strong contract combination of purple belly with body combining the four hues of silver, purple, purple and orange, creating a mix which is applicable to wide array of baitfish around the world. We have tested both color rigidly and I can tell you that “Hunter Candy” lives up to its name. 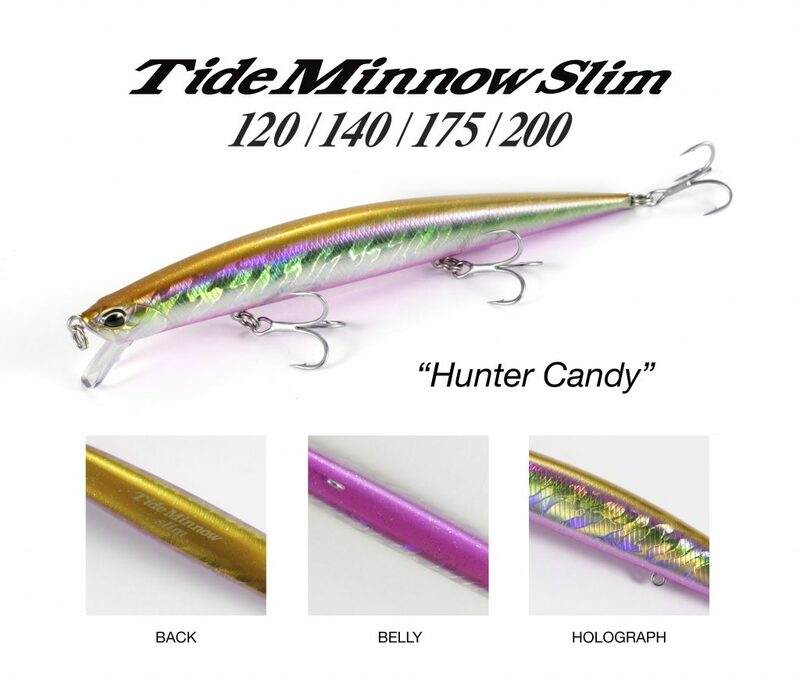 The new colors of Tide Minnow Slim series will be available around the world from May.